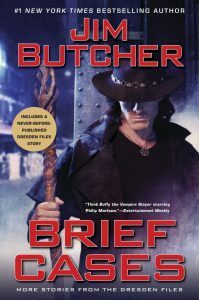 Brief Cases, Jim Butcher; James Marsters, Jim Butcher, Julia Whelan, Cassandra Campbell & Oliver Wyman, narrators (Penguin Audio, $29.95, digital download, 15.5 hr., unabridged) June 2018. 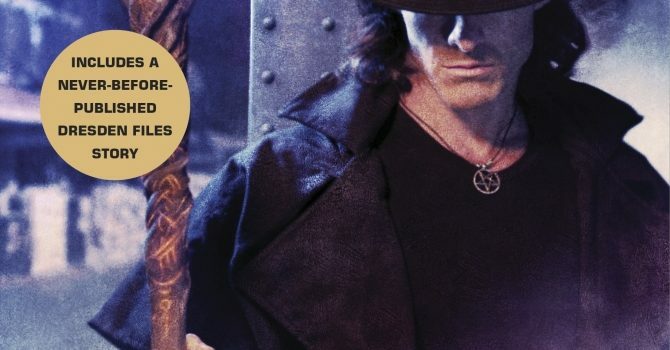 While we wait endlessly for Butcher to finish the next novel in The Dresden Files, here’s a short-story collection to tide us over. The stories take place at various points during the arc of the series about professional wizard and Chicago PI Harry Dresden, as well as one (“A Fistful of Warlocks”) involving Harry’s former flame Anastasia Luccio that takes place considerably before Harry’s birth, in the Old West. Of particular note are the stories “Cold Case”, which explores both the power and the horror of Harry’s former apprentice Molly’s new role as the Winter Lady of the Unseelie Court, and the previously unpublished “Zoo Story”, which actually occurs after the most recent novel in the series, in which Harry, his daughter Molly, and their dog Mouse attempt to have a nice, normal outing at the zoo, which of course is interrupted by magical conflict for each of them. The collection has multiple narrators, including Butcher himself, who voiced all the story intro­ductions, as well as one of my narrating faves, Cassandra Campbell, who narrates the Luccio story. The majority of the narration is by James Marsters, the American actor best known for the convincing English accent he put on as Spike, the emotionally needy, punk vampire in Buffy the Vampire Slayer, and who has voiced other novels in the series. 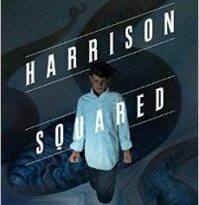 Marsters has Harry’s hardboiled yet kindhearted voice down pat, of course, as well as various fla­vors of British accent and even a passable Welsh accent, but as I noted in the review for the last Dresden Files novel, Skin Game, he really needs to brush up on his supernatural vocabulary: “Bog­gart” should not be pronounced as if it should follow “Humphrey.” There’s also the matter of the dog Mouse’s voice in “Zoo Story”; I just couldn’t quite figure out what Marsters was trying to achieve there. Mouse is a temple dog, and is of partial Chinese (and partially interdimensional) origin; was Marsters making a pass at a Chinese accent? There was a flavor of that, but also a strong hint of bad French, with an overall impression of distractingly weird. On the whole, though, this was an enjoyable di­version on the way to the long-awaited next novel.